December, 2010, is no different when it comes to the storyline. Ranaut are expected to add some spice to the film. 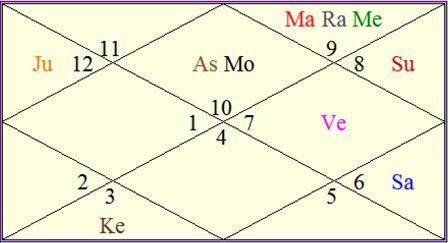 fate of 'No Problem' with the help of Vedic astrology. the Ascendant is in Bhagya Bhuvan. House in its own sign. House  Moon aspects its own sign. Swagruhi Jupiter aspects Bhagya Bhuvan. House with Rahu and Mercury. business during the first weekend. stumbling upon 'houseful' boards at few cinema halls. competition to other films releasing during that time. and wishes it a problem-free release at the Box Office.